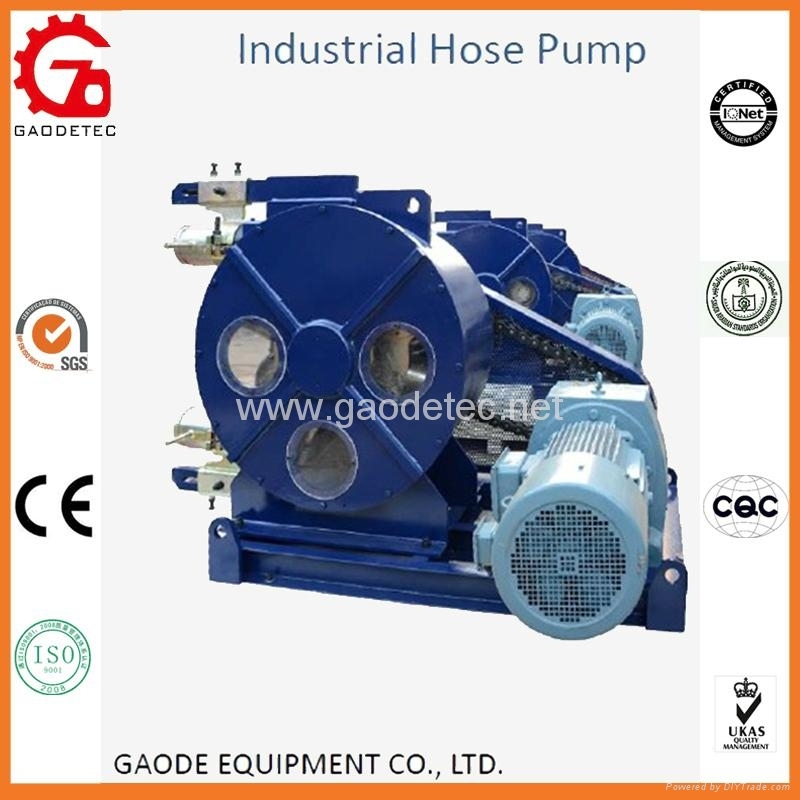 Gaode Equipment Co., Ltd, short name Gaodetec, is a manufacturer specialized in R&D, manufacture and sale of industrial hose pump. We have now developed full series of products with tens of models, working pressure from 0.6-3 Mpa, output from 0.01-50 m3/h, NR, NBR and EPDM squeeze hoses are available options for customization. 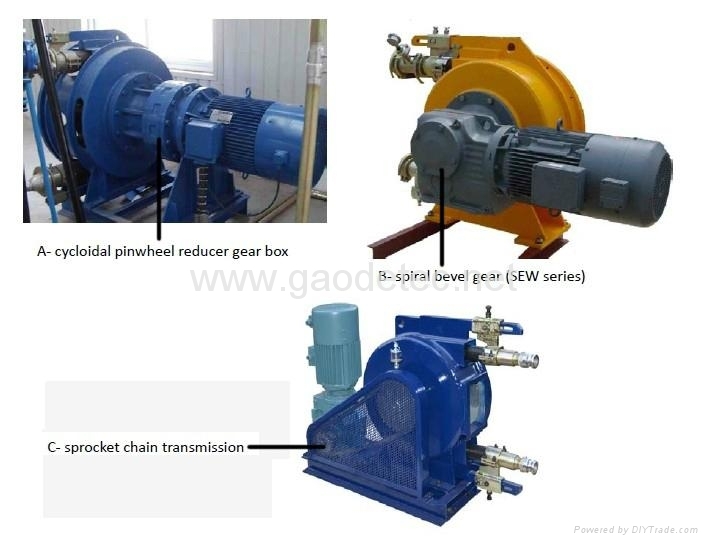 From years of experience Gaode Equipment Co., Ltd. has developed its own R&D and technician teams, which supports further development and customized service for clients. We control quality of industrial hose pump throughout the whole process strictly, and certified by ISO9001:2008, CE and SGS. Since 1998, we have become main supplier of pump head for one of world’s famous hose pump manufacturer. From recent years, we are also providing matched hose pumps forTBM machine manufacturer in China. Our hose pumps are widely applied in architecture, underground construction, petrochemical industry, metallurgy, food industry, ceramic, mining, water treatment, pharmacy, and papermaking.